Sometimes it is tough to find fun stuff for both the kids and the adults, BUT we have you covered. Check out 10 awesome things you can get into with the whole family. 1. 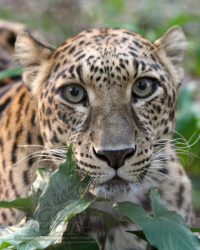 Big Cat Rescue - The largest big cat sanctuary in the world. It is awesome! 2. Dinosaur World - After recent expansions there are tons of life size dinosaur exhibits for the kids to enjoy. 3. The Florida Aquarium - One of the best aquariums in the nation is right here in Tampa, not to mention an amazing outdoor play area and splash park for the kids. 4. Lowry Park Zoo - Family friendly and always a blast. There are so many baby animals the little ones will love! 5. MOSI, Museum of Science and Industry - Incredibly fascinating and educational, fully equipped with an IMAX theatre and ropes course. 6. 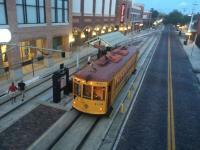 Enjoy a ride on the TECO Streetcar trolleys from Downtown Tampa to Historic Ybor City (Bonus: They’re air conditioned). 7. Canoe down the Hillsborough River with Canoe Escape and take in the beautiful scenery and abundant wildlife. 8. Go-kart Grand Prix - A new addition to Tampa, enjoy go karts cruising at over 40 mph at this indoor track. 9. Tour the American Victory Ship, a 455-foot marine vessel used in the Vietnam and Korean wars, now a museum docked in the Channelside District just outside the aquarium. 10. The Glazer Children&apos;s Museum is an interactive wonderland for your kids, right on the Hillsborough River. The Wizard of Oz exhibit should not be missed!